In celebration of Conflict Resolution Month, Student Legal and Mediation Services is presenting a blog series about individuals that inspire peace in their communities and the world. 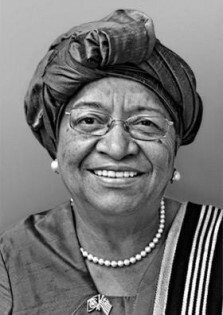 This post in the series is about Ellen Johnson Sirleaf and her contributions to peace and conflict resolution. Ellen Johnson Sirleaf is currently the President of Liberia and has held this position since 2006. She is the world’s first elected black female president and Africa’s first elected female head of state. She received a degree in economics from the University of Colorado at Boulder and a Master of Public Administration degree from Harvard University. After returning to her home country, she served as the assistant minister of Finance to President William Tolbert. However, in 1980 Tolbert was overthrown and killed and Johnson Sirleaf was forced into exile in Nairobi, Kenya and the United States, where she worked in international banking. In 1985, Johnson Sirleaf ran for a seat in the Liberian Senate, speaking out against Samuel Doe’s regime (the army sergeant who overthrew William Tolbert), but was sentenced to ten years in prison. She partially served the sentence and moved to Washington, D.C.
During this time, Charles Taylor initiated a rebellion against President Samuel Doe in 1990. Taylor’s rebellion initiated the first Liberian Civil war and ultimately led to Doe’s execution. With determination, Sirleaf returned a third time to Liberia in 1997 as an economist. Johnson Sirleaf ran against Taylor in 1997, but lost and was then charged with treason. During his presidency, Taylor was charged with numerous cases of inhumane acts and war crimes. In 2005, Johnson Sirleaf campaigned for his removal, took over as the leader of the Unity Party, and was elected as the Liberian president. She submitted a request for Taylor’s extradition, where he was tried and sentenced to fifty years in prison. In 2011, Johnson Sirleaf, Leymah Gbowee, and Tawakkol Karman were awarded the Nobel Peace Prize for “their nonviolent struggle for the safety for women and for women’s rights to full participation in peacebuilding work”. Alongside her campaigns for peaceful policies and role in ending the civil war in Liberia, “Sirleaf has declared a zero-tolerance policy against corruption and has made education compulsory and free for all primary-age children”. Despite the violence and power within her home country, Johnson Sirleaf consistently used her freedom of speech to speak out against violence and for women. While she was suppressed and punished several times, she persevered through peaceful means within the government until she had the power to change the violence she was witnessing. While the country continues to have internal and external problems, Johnson Sirleaf has had a key role in shaping Liberia’s presence worldwide through her peaceful policies. She has campaigned and advocated for peace, while also promoting the economic and social advancement of women. Johnson Sirleaf has also advocated for reducing Liberia’s corruption, and improving basic services such as schools and hospitals. Reflecting upon Sirleaf’s constant battle against violence within her nation, one may ask how they can have such an impact in their own communities. How can violence be handled peacefully? How can I change the issues I see in my community or government? As a part of Conflict Resolution Month, Student Legal and Mediation Services encourages the thoughtful reflection of communities through peaceful means. 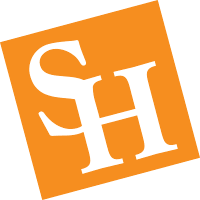 If you have any questions about your legal rights or constructive ways to resolve conflicts, please contact our office by phone at (936) 294-1717, website at shsu.edu/slms, email at slms@shsu.edu, or visit us in the LSC, Room 330.